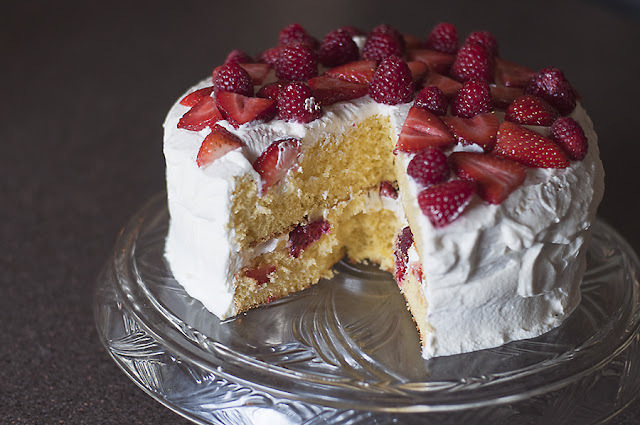 For Easter Sunday (which we had a week early) my Aunt made this simple but yummy fruit and lemon cake. For the official day of Easter I just made a small dinner for Dave and I and made this cake for dessert. I changed it a bit from how she made it originally but it was pretty much the same and was SO easy! Bake the cake according to box instructions in two round pans. 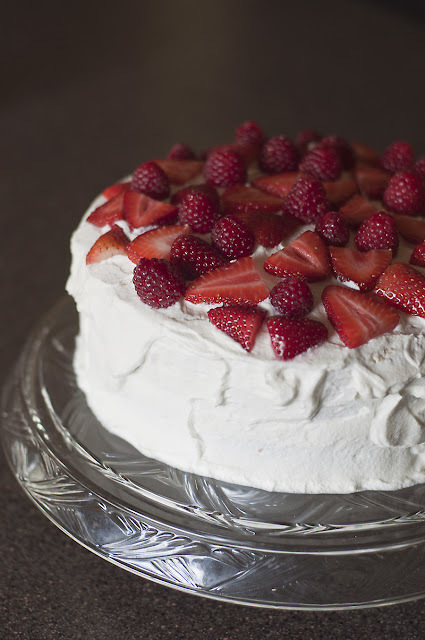 Once cool, top first layer with lemon curd (optional), whip cream, and berries. Repeat with second layer. Simple enough? So easy, so pretty, so yummy. Don't know how to make whip cream? It's easy! And you will never go back to the store bought stuff!